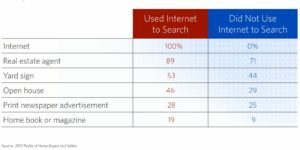 Google and NAR had collaborated to uncover trends and insights around digital media usage among home shoppers, whether they are looking to buy, rent and sell real estate. 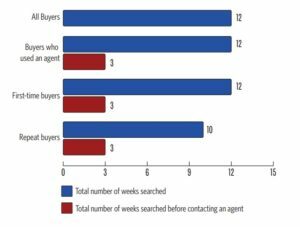 Real estate consumers who use the internet while researching a home are more likely to use multiple sources: hence having your listing on realestate.ca, social media sites and your own MLS enabled website is so important! 89% of new home shoppers use a mobile search engine at the onset and throughout their research. Hence a mobile responsive website is key, to ensure your listing are capturing viewer attention both on desktop and mobile devices.